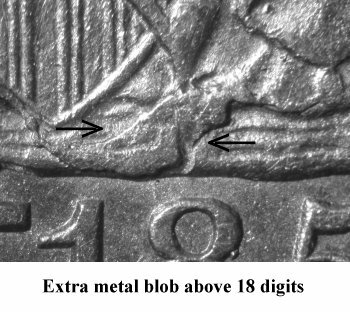 Comments: In a near terminal die state, Obverse 2 becomes extensively shattered with large areas of retained metal forming to the immediate left of the shield and between the shield and the 18 digits. 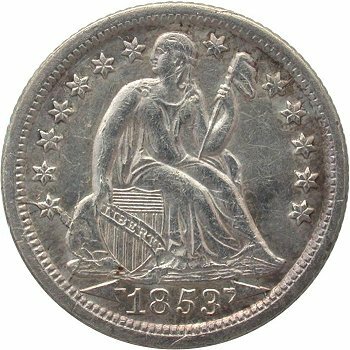 Examples with the shattered obverse still come fairly well struck. 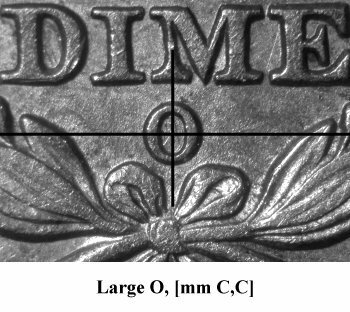 The Large O mintmark on Reverse D is well centered, both horizontally and vertically. 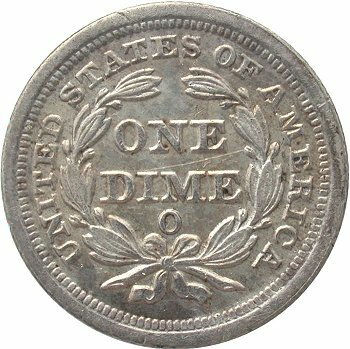 Otherwise no other diagnostics are available. 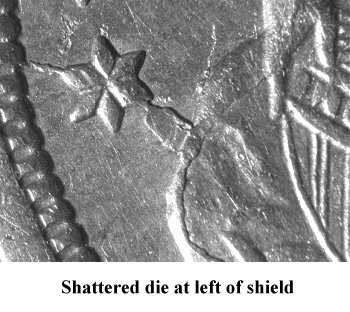 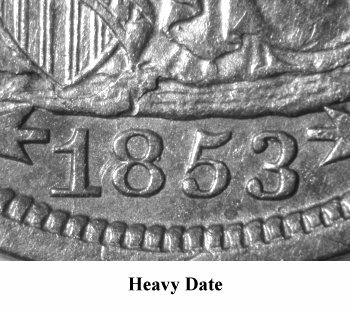 For inclusion in a Top 100 Varieties set, the 1853-O dime must have retained metal showing between Star 1 and the rock and below the shield as illustrated above since earlier die states are known with only the die cracks from base to denticles in lower rim.